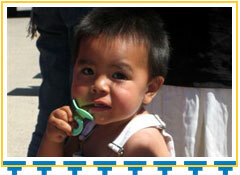 Amid the prosperity of our great nation, hunger is a reality for many Native Americans. On the Navajo Reservation  which sprawls across the furthest edges of Arizona, Utah, and New Mexico  nutritious food is always scarce and expensive. Many homes lack electricity, making it extremely difficult to keep perishable food. And adults often put the needs of their children before their own. 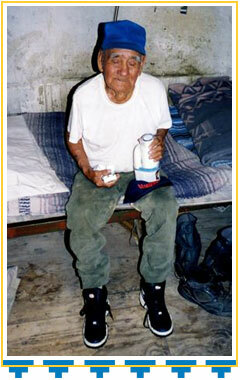 As a result, month after month, when their meager resources are exhausted, many Navajo families face a bare cupboard. NRF’s Pantry Packages help provide an effective solution to this shameful problem. 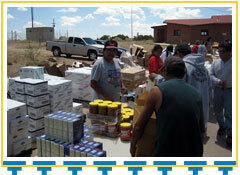 NRF helps these impoverished Native Americans by delivering nonperishable food to communities on a quarterly basis. Pantry basics such as flour, cereal, peanut butter, canned fruits and vegetables, beans, soup, and pasta provide the ingredients for nutritious and filling meals. Following the NRF Way, volunteer commitment is an important part of the Pantry Packages service. Volunteers, many of whom participate in other NRF services, spend countless hours sorting, loading and distributing boxes of food. 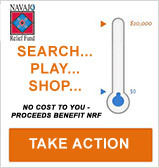 Won’t you make a generous donation to help NRF bring Pantry Packages to every Navajo family that is struggling to make ends meet?